Omdat de retraite een internationaal karakter heeft, is deze tekst in het Engels. Wilt u een vertaling, kunnen wij u dat toesturen. Tijdens de retraite wordt zowel Engels als Nederlands gesproken. Due to the international character of this retreat this text is in English, a Dutch translation is available. During the retreat both English as Dutch will be spoken. You are warmly invited to participate in the Annual Summer Retreat on the Roswaard Estate in the Netherlands. So much has happened since we started to organize the Annual Summer Retreats: a lot of wonderful people have visited, a lot of grass has been cut, lots of weeds are removed, flowers are planted, newborn horses and young farm kittens are raised. But most of all we have done a lot of Tai Chi, we have grown both in our physical, emotional and spiritual wellbeing. We welcome you to (once again) celebrate growth and wellbeing with us. The Roswaard Estate offers a beautiful and relaxing environment to spend a couple of fun filled days learning Tai Chi, working on your own personal cultivation and just being away from it all. This year’s Retreat theme will be around will be around the the natural phenomena of “Change”. We are going to explore the possibilities of our ‘hidden’ qualities and to be in contact with our higher Self, clearing your path for Self-Cultivation. As the saying goes for the art of sword mastery: “Cutting the roots of our own negativity”. The Annual Summer Retreat will fill you with an abundance of life and energy and new and inspiring Tai Chi material. All classes will be held outdoors as much as possible, indoor classes will be held in the large Tai Chi room. We invite you to come and indulge yourself in 5 days of Tai Chi, Xing Yi, meditation, good company and great surroundings. We are looking forward to share with you what we have created here on the Roswaard Estate. 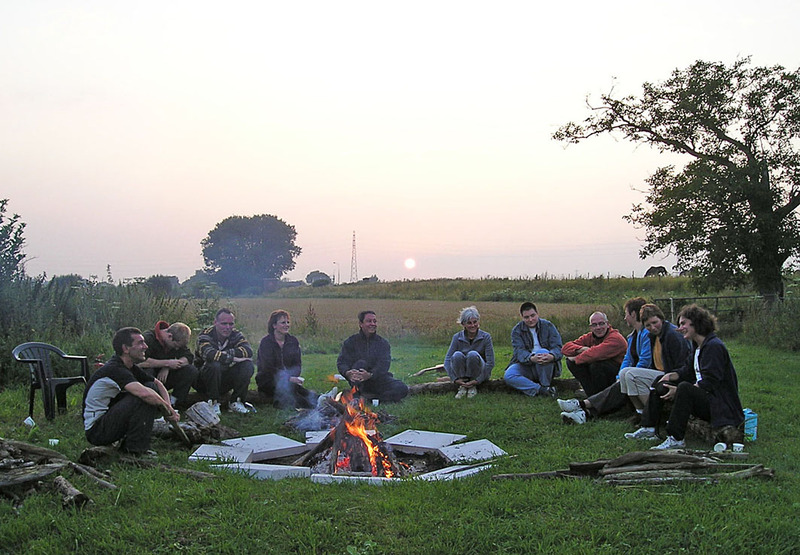 The Summer Retreats are accessible for a maximum of 15 people, so reserve your place as quickly as possible. Accommodations are in a Hotel, Bed & Breakfast or at a camp site, ensuring your wellbeing. Food is of high standard and mostly vegetarian. Fresh fruit and home grown fresh salads available. an especially nice and powerful set of body strengthening exercises, providing you with a energetic and awake beginning of your day. Xing Yi, based on the principle of the 5 elements, means as much as “martial arts of mind-intention”. Pa Kua, based on the I Ching - The Book of Changes, is also one of the few internal martial arts, famous for it’s circular movements and rigorous but relaxed exercises. Both Xing I and Pa Kua gives you an energized start of the day. Whatever level you are at, whether you know the whole form or just the first section, no matter what style you practice, you will greatly deepen your level and understanding of your own Tai Chi practice. Even people who have been practicing a different form will greatly improve their Tai Chi in these five days by working on the Tai Chi principles. For those who have never practiced Tai Chi, this Retreat offers you a unique opportunity to fall in love with this beautiful art of movement. In the evenings we will explore all sorts of meditation and energy work. Meditation is a name for a variety of exercises. Whether to relax and experience calmness, to gather more energy or to open up the higher spiritual centers, all is called meditation. The purpose of these exercises is to further develop your own consciousness. During the Retreat you will learn different kinds of meditation techniques that spring from the principle that everything is energy. Based on this understanding you will practice exercises to develop both your energy awareness and your ability to observe. Master San Gee Tam says: “When you work hard, you need to play hard”. The Tai Chi Retreat has a full program where you can do both at the same time! And of course rest when you need to rest. 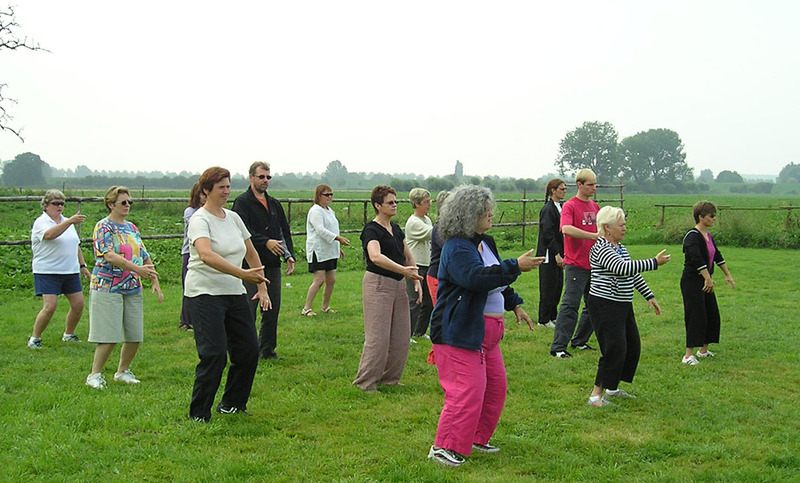 You are warmly welcomed to participate in this years Tai Chi Summer Retreat. Please fill out the enrolment form and send it to us asap. You will receive an extensive welcome package with all details soon after. See you soon at The Roswaard! Meer suggesties voor boeken vind je op de boekenlijst.